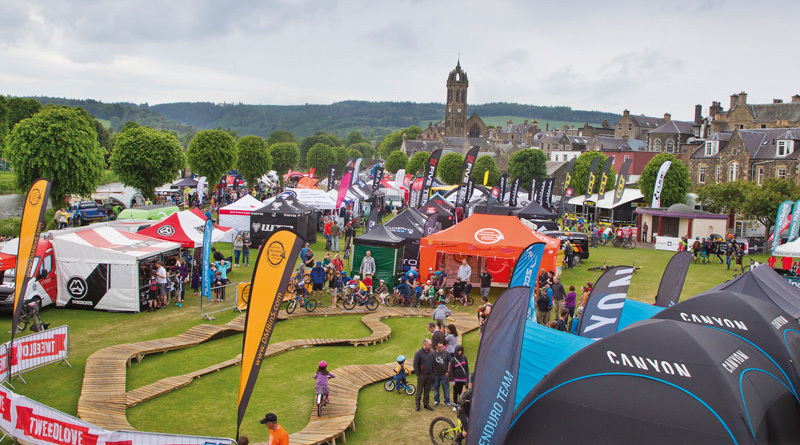 This year’s Shimano TweedLove Bike Festival, which takes place from the 9th to 11th June, adds a new super sized demo supported by some of the biggest bike brands. They’ll be offering both road and MTB demo bikes and taking part costs £10 per day for registration. There will be a dedicated MTB demo loop will take in some great trails in Glentress forest, while the road demo loop will access the quiet and scenic tarmac surrounding Peebles. The demo sessions run from Friday through to Sunday, with some demo slots available for advance booking online, and the remainder available on the usual ‘first come-first served’ basis on the day. Demand is expected to be high for some bikes in particular, so they’re giving you the chance to pre-book if you’re quick. The TweedLove demo and expo village will also host the UK’s biggest enduro race, a road sportive, kids events, urban cyclocross madness and a unique bike festival with a great bar, delicious food, music and loads more.